Check out this Hot Toys Iron Man exclusives by Action City & TFH! Check out this Hot Toys exclusives by Action City & TFH! – Bundle DEAL! 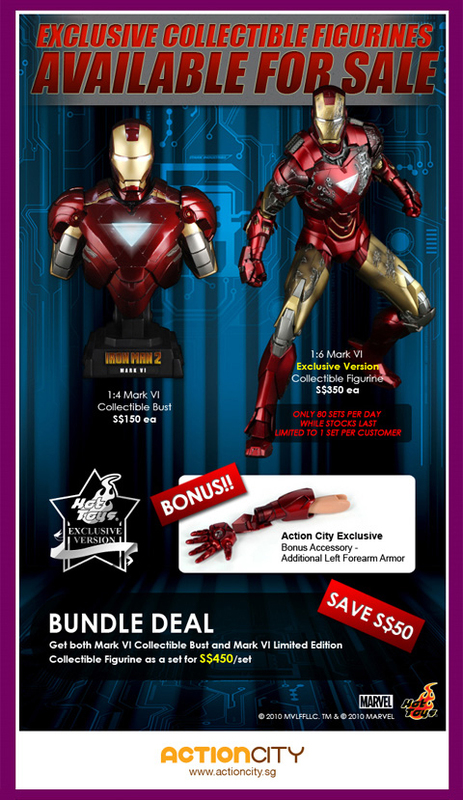 Get BOTH Iron Man Mark VI & Bust at $450/set! It’s hard to come by well-informed people about this subject, however, you sound like you know what you’re talking about! know I am getting familiarity daily by reading such fastidious posts. at the same time, you also have to adapt your sexuality and sensuality with the relationship. build structures. While you’re at it, be sure wood toys that the knots and stitches are secure enough for little fingers. Let us look into one example, and I will do my best to make my point crystal clear. biotin cause acne. Some of these ingredients include, vitamin A, selenium, chromium, green tea, fish oils, and probiotics. you can advise? I get so much lately it’s driving me insane so any assistance is very much appreciated.